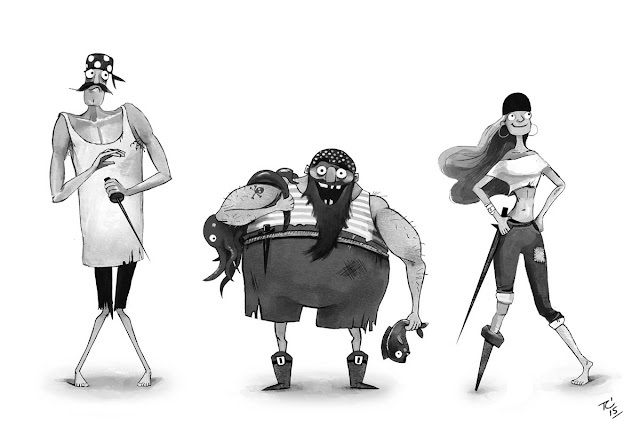 Here are some Pirate Character design's I sketched for Nate Wragg's CGMA class. 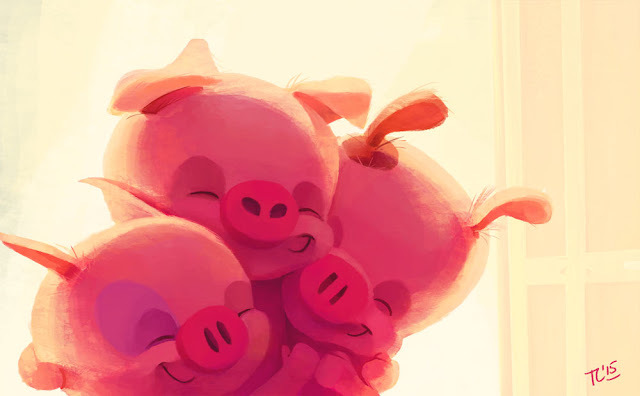 Hope I can find time to colour these guys in before CTNx. 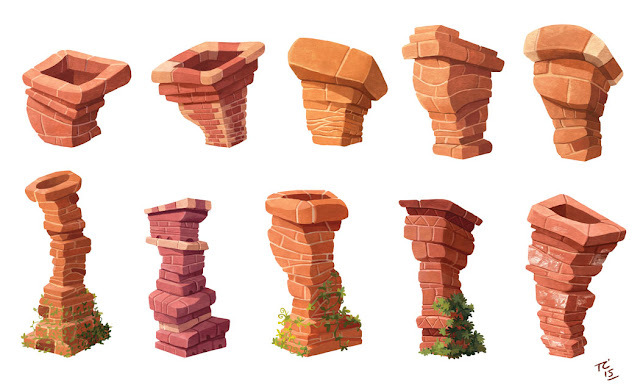 Great way to explore textures and colours for the Little Pig's brick house, here are the chimney designs.